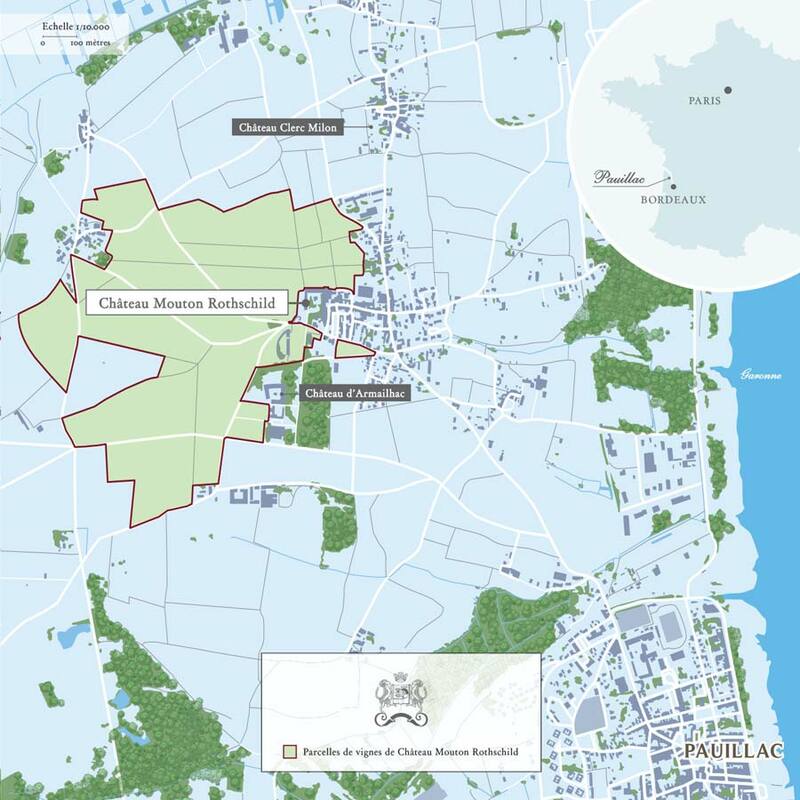 The 2003 vintage marks the 150th anniversary of Mouton’s entry into the family to which it has since belonged without interruption for five generations. 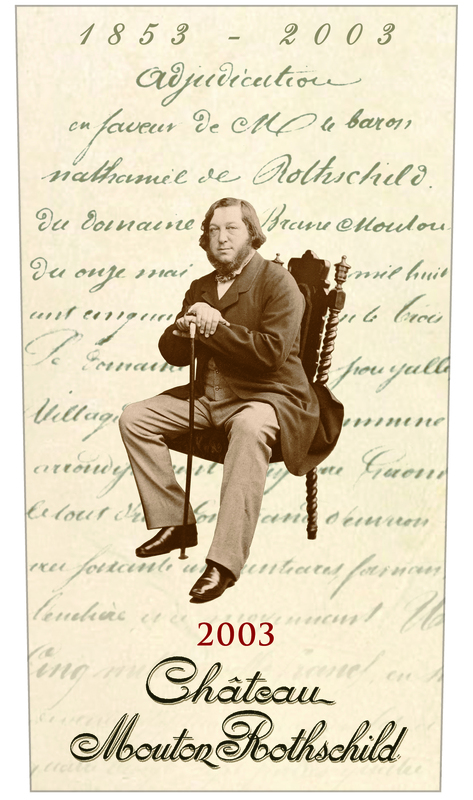 Baroness Philippine de Rothschild has therefore decided to depart from tradition by devoting the entire label to Baron Nathaniel de Rothschild (1812-1870), her direct ancestor from the English branch of the family who acquired the Mouton estate on 11 May 1853. Baron Nathaniel is depicted on the label in a period photograph. The background shows part of the deed of sale. This document, carefully preserved in the Mouton archives, marks the beginning of a long love story between the Rothschilds and the great wines of Bordeaux.